We offer BROADSOFT© Hosted Voice products, IP trunking and analog phone services. 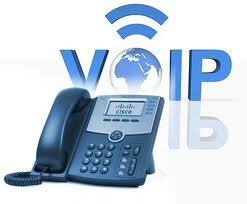 Telenet International offers hosted VoIP by utilizing a state-of-the-art network. With Telenet International’s infrastructure, your phone calls never actually travel over the internet; they are simply routed through your Telenet International internet connection to our BROADSOFT© switch. This ensures the utmost reliability and security for your business. Telenet International can work with your existing phone system, or we will set you up with our BROADSOFT© switch, which provides feature-rich services including auto attendant, music on-hold, and simultaneous ring. We offer bundled voice and data services with the convenience of one provider and one bill. Our engineers can help personalize your service with a wide range of solutions.